Plastic weighing the equivalent of one billion elephants has been created since the 1950s and most of it has ended up in landfill, an alarming new study has shown. Researchers from the University of Georgia and the University of California found that by 2015 humans had generated 8.3 billion tons of plastics and 6.3 billion tons had become waste. Only nine per cent of the waste plastic was recycled, 12 per cent was incinerated and 79 per cent had accumulated in landfill or the natural environment. If current trends continue, roughly 12 billion tons of plastic waste will be in landfills or polluting oceans by 2050. 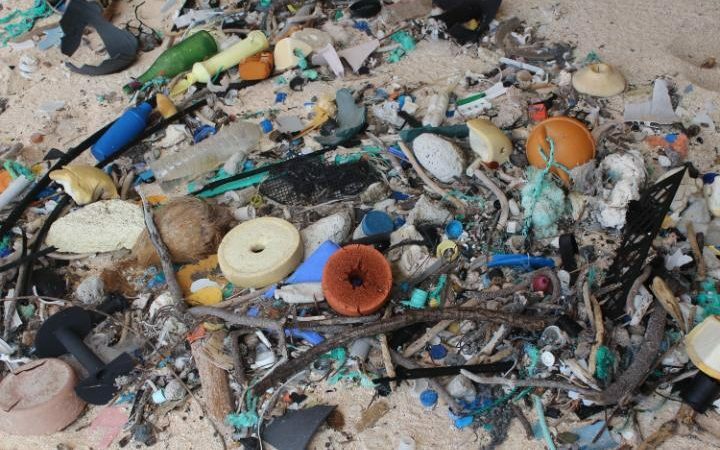 “Most plastics don’t biodegrade in any meaningful sense, so the plastic waste humans have generated could be with us for hundreds or even thousands of years,” said Associate Professor Jenna Jambeck. Researchers compiled production statistics for resins, fibres and additives from a variety of industry sources dating back to 1950 to calculate how much plastic had been created in the following 65 years. 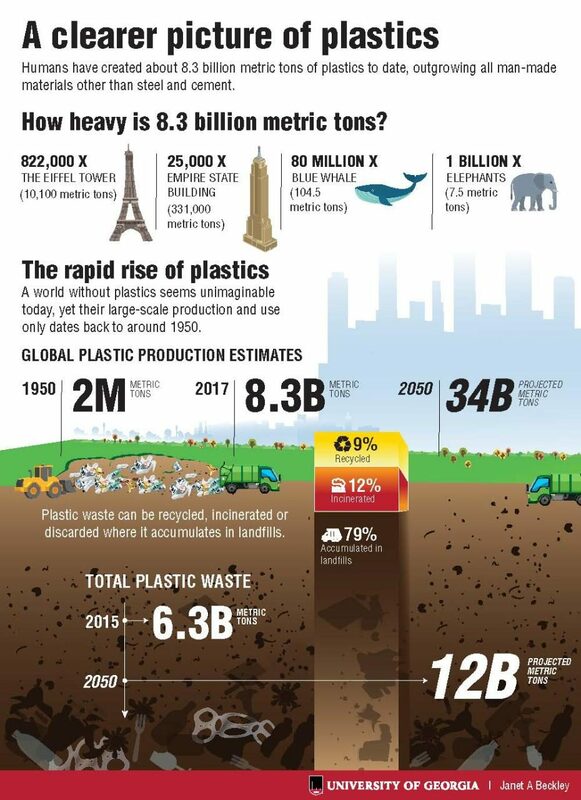 Global production of plastics increased annually from two million metric tons in 1950 to over 400 million metric tons in 2015, according to the study, outgrowing most other man-made materials. Only steep and cement are more ubiquitous, but unlike the building materials which last for decades, most plastic is quickly discarded. Recent figures from Recycle Now show that Britain bins around 16 million plastic bottles a day and If a year’s worth of the UK’s unrecycled plastic bottles were placed end to end, they’d reach around the world 31 times, covering just over 780,000 miles. “Roughly half of all the steel we make goes into construction, so it will have decades of use – plastic is the opposite,” said Dr Roland Geyer, lead author of the paper and associate professor in University of California. The same team estimated that around eight million tons of plastic end up in the world’s oceans annually. “There are people alive today who remember a world without plastics,” added Dr Jambeck. A recent study estimated that nine in 10 of the world’s seabirds now have pieces of plastic in their guts. Some albatross and shearwater have been found to have nearly 3,000 pieces of plastic – up to 8 kg – in their stomachs, the equivalent of a human eating 12 pizzas worth of food. It can’t be digested, so the birds eventually die through lack of nutrition. It follows a report by Dame Ellen’s foundation which calculated that by 2050 the world’s oceans are expected to contain more plastics than fish, by weight.